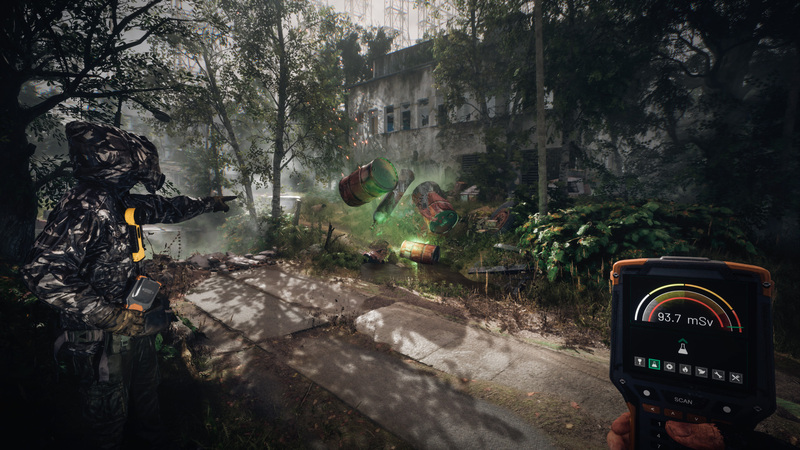 Chernobylite, the horror game set inside the Chernobyl Exclusion Zone, is set to hit Kickstarter in the next few weeks. In an afford to drum up some more hype from the community, developer The Farm 51 has released a short gameplay teaser you can see below. The video is very short, about 30 seconds, but we do get to see some in-game footage of the environment, a character or two fully clad in protective gear and a glimpse of a glowing monster. Chernoblylite is a horror game set in the radioactive ruins of Pripyat and Chernobyl, so you can expect to encounter a few hostile creatures. You will be able to explore these harsh environments in a non-linear fashion, whiling crafting and working with other stalkers to survive against challenging enemies. It is with this “exceptional mix” The Farm 51 wants the players’ help. “Ever since we’ve announced our game, we’ve been receiving tons of comments and feedback from the gaming community out there, and it all led us to one conclusion. That everybody hopes to be able to explore the destroyed Chernobyl Nuclear Power Plant and Pripyat ghost city in our game as deeply as possible, said Wojciech Pazdur, The Farm 51 CEO. “And we’re more than eager to deliver that. “But this means that we should expand the locations in the game comparing to the original concept we had, and ask gamers for their help in doing so. It’s a hard and dangerous task, keeping in mind that to achieve that goal, we’ll need to make some extra trips to the Exclusion Zone and scan even more buildings and objects. You can sign up to the newsletter on the game’s official site if you wish to receive more news about Chernobylite and a notification when the Kickstarter campaign goes live. Chernobylite is currently in development for PC and console. Once the Kickstarter campaign starts, we’ll get more details about the exact platforms and release window.